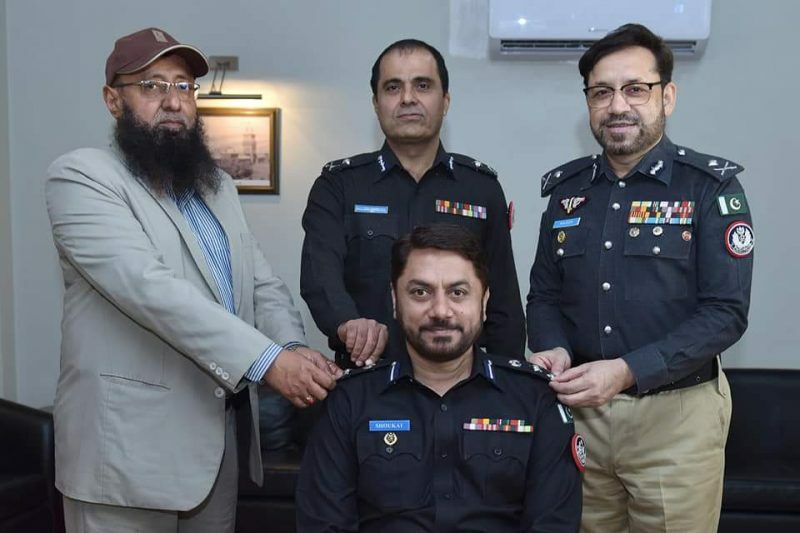 Karachi (by/Pir Bux Noonari): IG Sindh Dr Syed Kaleem Imam imposed the rank of next post to the Configure and Development Investigation Officers, who progressed on Grade 20 under PSP Group. IG Sindh congratulated the officers of the Prohibition Bureau of Investigation, against the crimes. Under the PSP group, Irfan Ali Baloch has been promoted to grade 20, Sherfraz Qadir, Ghulam Azhar Mehsar, Attaullah Khan Chhadi, Faisal Abdullah Chachar, Karamullah Soomro, in the fight against the police and tactics of the war. And Sarfaraz Nawaz promotion confirmed on Grade19, Adeel Chandio, Shaukat Ali Khatiyaan and Mohammad Abbas Rizvi were promoted in Grade 20. IG Sindh Dr. Kaleem Imam, Additional IG Karachi and Additional IG Special Branch, during a simple but promotion ceremony held at Central Police Office Karachi, under the PSP Group, invest on promoted on Grade 20. the rank of next position to grade 19 will be convened in coming days. IG Sindh congratulated the Development Bureau of Officers, saying that you are based on professional skills and experiences based on professional improvements and experience in improving the quality of police. Improve the efforts, but make the police strategy and strategy very strong and coordinated in the ongoing war against crime. Under the PSP group, Irfan Ali Baloch was promoted to grade 20, while Sheraz Narzir, Ghulam Azfar Mehsar, Atta ullah Khan, Adeel Chandio, Faisal Abdullah Chachar, Karamullah Soomro and Sarfaraz Nawaz promoted on grade 19. Meanwhile, Adil Chandio, Shaukat Ali Khutan and Mohammad Abbas Rizvi were upgraded to Grade 19.